Long before there was Doppler radar and weather apps for smart phones, people looked to weathervanes for predicting changes in the weather. Perched on rooftops from churches to rural barns, weathervanes spun in the breeze to show the direction of the prevailing winds. A change in wind direction often indicated that a change to the weather was on the way. Weathervanes originated at least as far back as 48 BC, when a Greek astronomer named Andronicus created a weathervane in the image of Triton. The Greek god of the seas held his trident high above Athens atop the Tower of the Winds, pointing into the wind. The word "vane" may be derived from the Old English word "fane", meaning flag, for the cloth banners that fluttered in the winds above medieval castles. Standing on the ramparts of the castle walls, the archers used the banners to gauge the direction and strength of the winds before losing arrows against their enemies. The early Vikings also lashed flags and banners to the masts of their sailing ships indicating the prevailing wind direction. 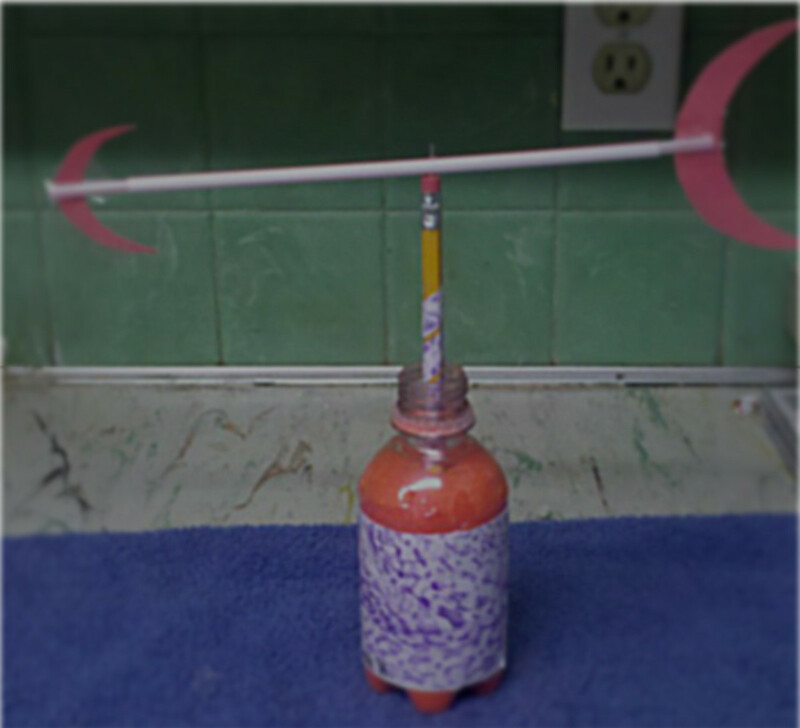 Which Way Does A Weathervane Point? The arrow on the Weathervane always points into the prevailing wind, indicating the direction that the wind is blowing from. Winds are named for the direction from which the wind is blowing. For example, the North Wind originates in the northern latitudes and travels in a southerly direction. When the North Wind blows, the arrow on the weathervane points to the north. The typical weathervane is a practical device, spinning freely on a long rod with an arrow pointing into the direction of the wind. 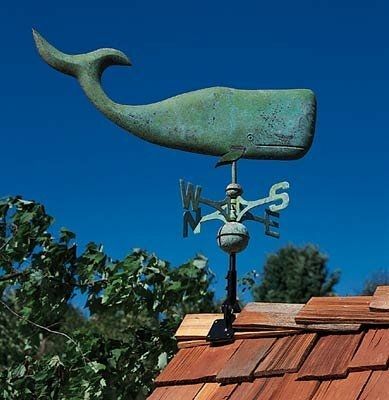 Weathervanes often include a directional compass, fixed to the base, to help determine if the winds are blowing in from the North, South, East or West. 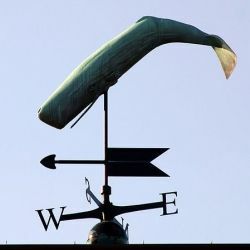 Spinning freely on a vertical axis, the body design of the weathervane with more surface area catches the wind (such as the tail of the whale in the lead photo) turning the vane so that the arrow points into the wind, indicating the direction that the wind is blowing. More than just a tool for indicating wind direction, weathervanes evolved into decorative ornaments, often elaborately carved from wood and clad in copper. Colonial buildings in early America often featured handcrafted and ornately decorated weathervanes depicting images of animals including roosters, horses, deer, birds and fish. George Washington commissioned a Dove of Peace for his Mount Vernon estate, to commemorate the end of the Revolutionary War. Thomas Jefferson took his weathervane a step further, adding a pointer inside the ceiling of the room below his weathervane so that he could see the wind direction from the inside of his Monticello home. 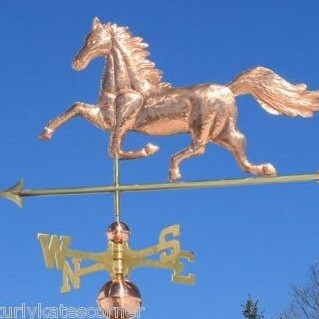 By the early 19th century, several manufacturers were mass-producing weathervanes in copper and bronze. These early weathervanes are now highly collectible and command premium prices. Today, several companies still carry on the tradition of crafting copper and metal weathervanes. As garden art and decorative metal sculptures, weathervanes add a touch of historical whimsy to copulas and rooftops. Stephen Fletcher, Director of American Furniture and Decorative Arts at Skinner takes you on a tour of weathervanes, including a cast iron rooster and a running horse weathervane. Classic and never-before-seen pieces illustrate the distinctive vitality of this folk art form. Weathervanes from the mid to late 19th century have come to be considered three-dimensional sculpture, suitable for decorating modern corporate offices and homes. Pessimists complain about the wind; Optimists expect it to change; the realist adjusts the sails. 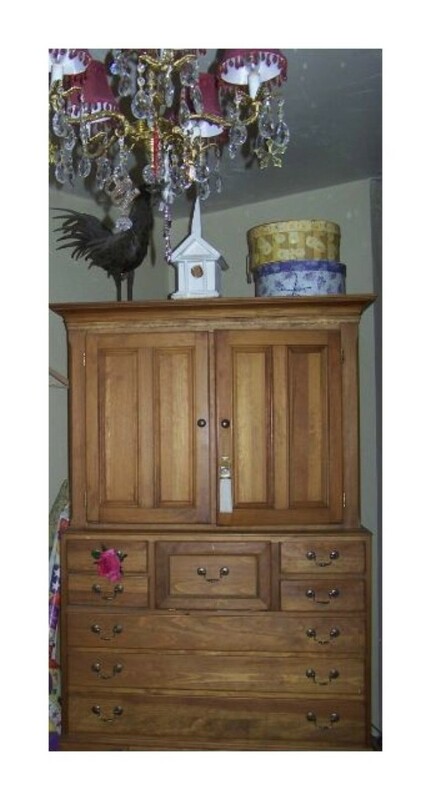 Do You Have A Weathervane? Weathervanes are interesting, but not for me.